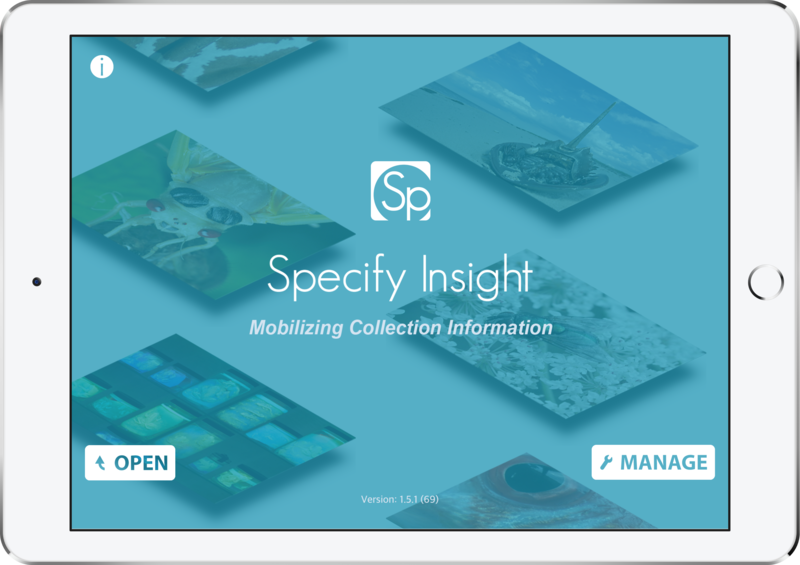 Specify Insight on the iPad works with a copy of your Specify database to showcase your collection’s holdings through an effortless and intuitive data exploration interface. And with the portability of the iPad, Insight will take your collection data to places they have never been. 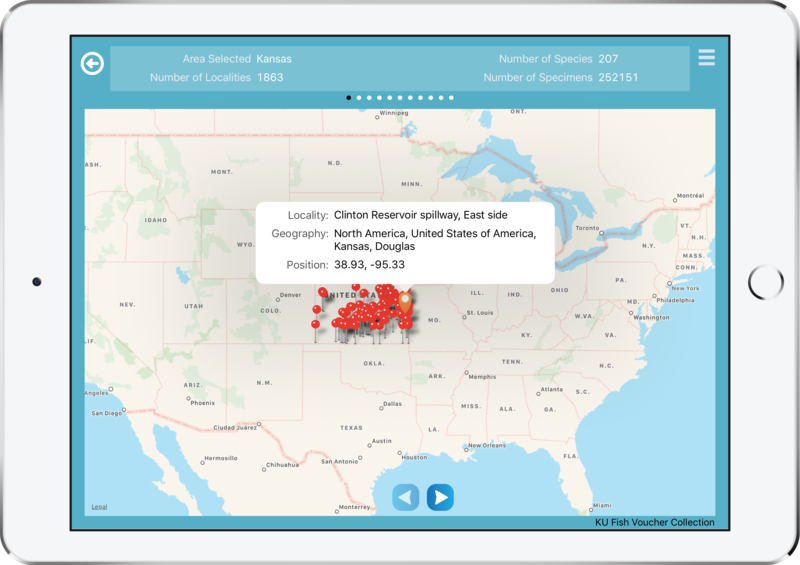 With your collection database loaded on a tablet computer offering a gesture-based interface anyone can master in seconds, Specify Insight will mobilize your research data, and create opportunities for education and outreach engagement. 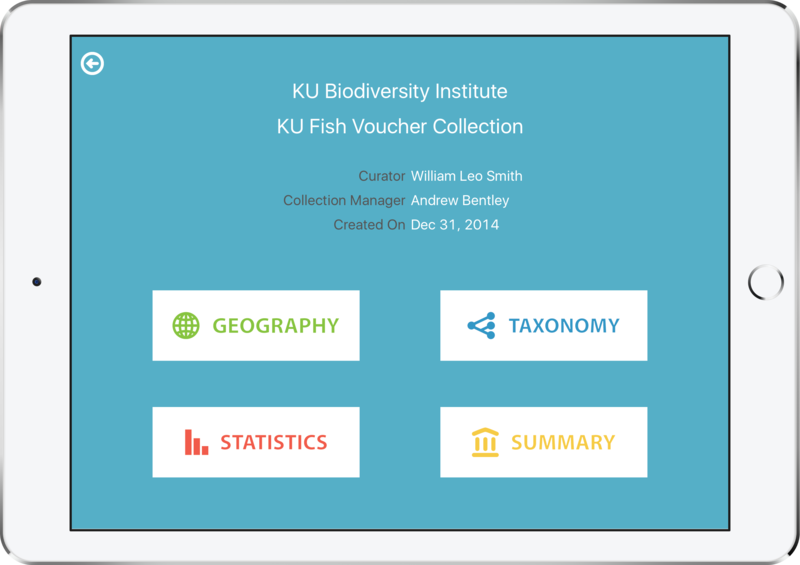 Utilize your taxonomic and geographic data on the iPad to showcase your science to a more inclusive group of researchers and students. 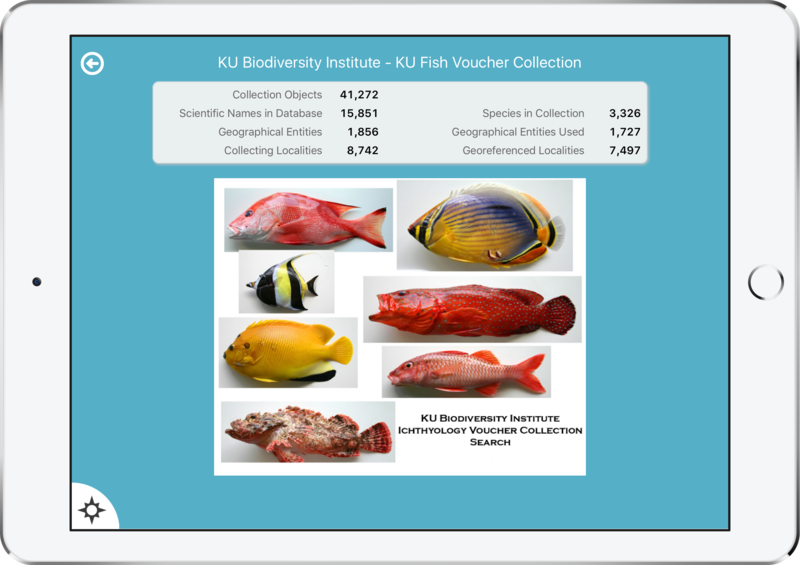 Let stakeholders personally experience the diversity and uniqueness of your collection on their iPads. Extend your collection’s data reach to students in classrooms and to informal science education activities. And for your own curatorial and research uses, you can take your collection data anywhere you go. Specify Insight links to web images sources of Flickr, FishBase, and to your own collection’s specimen images served though the Specify Attachment Server. With wireless internet, available web images automatically appear as thumbnails for each mapped species, and pressing on thumbnails brings up a full-sized copy. Insight also presents summary statistics of your collection, showing collection growth through time, and the top families and countries in your database. Insight’s map display shows specimen counts by continent, country, and for the U.S., by state. Collecting localities are represented as pins on iPad maps. Pressing on a pin shows detailed locality information, and swiping across the data panel at the top of the Insight display shows each Collection Object (lot or specimen) from the highlighted locality. Distribution maps can be filtered further by species with the right side pull-down taxon menu. Multiple collection databases can be downloaded and explored on an iPad running Insight. Specify database managers can provide access to the iPad copy of their data by offering Insight Cloud Server logins to other iPad users. Multiple collections from the same institution can be loaded onto an iPad as well as databases from multiple institutions. 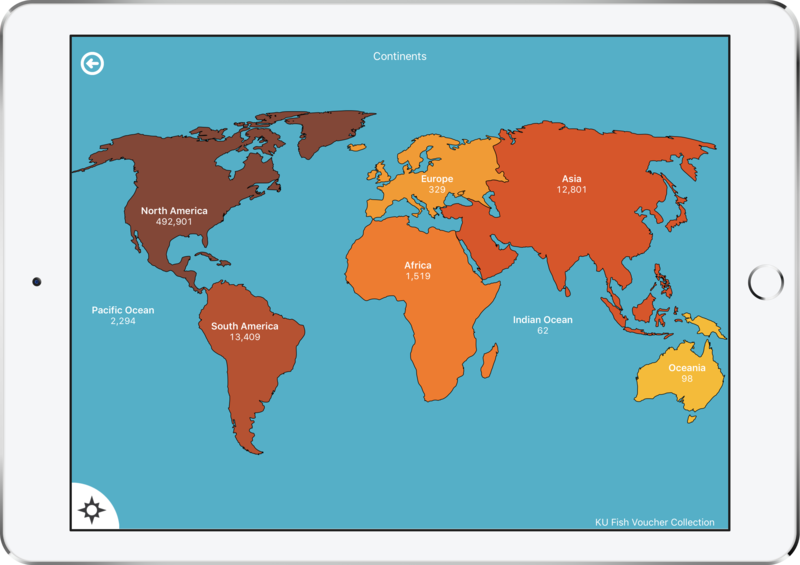 Verify your georeferences and geography data with the Insight map interface. Browse and verify your taxonomic determinations with the taxon tree browser. Identify taxonomic and geographic gaps in your collection for development and expedition planning. Locate well-collected localities to document collection geographical strengths. 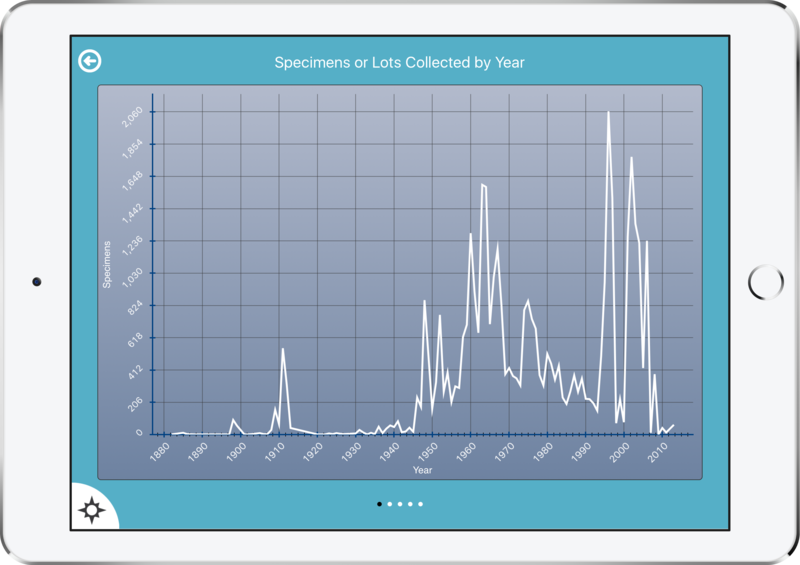 Take your iPad into the collection gallery for inventory and to verify IDs and data on specimen labels. Take your collection data into the field to review existing vouchers and collecting priorities in situ. Take your collection data home, to the coffee shop, to bed! You are not a 9-5 scientist after all, why not utilize all of those unexpected snippets of idle time to review your collection information? Un-tether! Take your collection data to places without a wire, Wi-Fi or cellular data services. Take your collection data on the road to meetings, workshops, to provide copies to your colleagues. 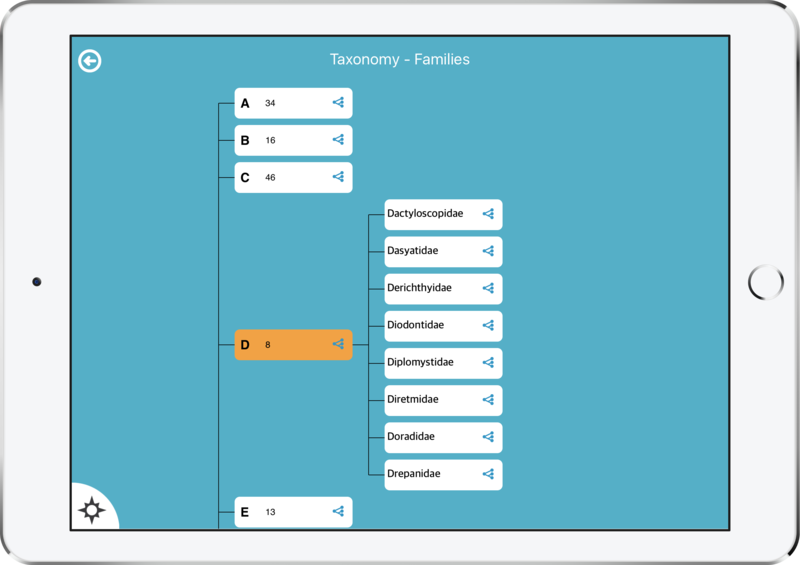 Load up your iPad with multiple collections from your institution or from multiple institutions to compare taxonomic strengths and distribution patterns across collections. Education. The iPad is an intuitive platform to integrate your biological collection information for formal and informal science curricula. K-12 teachers and students alike will find its interface easy to use, fun, and a rich, informative representation of your biodiversity holdings. By making your iPad credentials publicly available, anyone with an iPad2+ can install Specify Insight and download your collection data to peruse and appreciate your holdings. Stakeholders. What is the probability that your Director, Dean, Provost, President, or Minister of Science would ever sit down and keystroke a query into a workstation to explore your collection? Would they find searching a specimen database and staring at data forms about as engaging as watching paint dry? Not any longer! 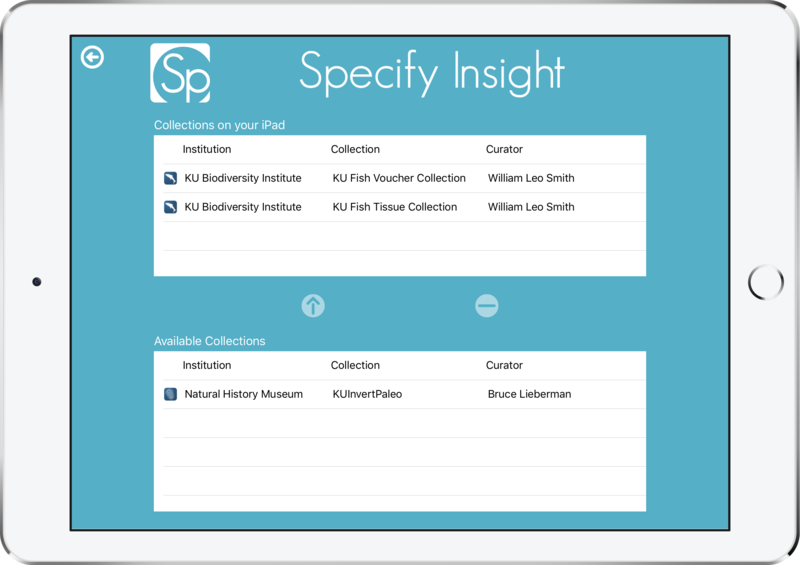 Sidle up to those suits and slip a copy of Specify Insight and your collection data onto their iPads and let them experience the ease of exploring your collection with simple finger swipes and presses. In a few seconds, impress your stakeholders with the geographical breadth, regional strength, and historical legacy of your holdings. Try Specify Insight. To evaluate Insight now, download a copy from the Apple Store. Then use the account credentials below to log into the Specify Insight Cloud Server and download the sample databases from the Ichthyology Collection at the University of Kansas. 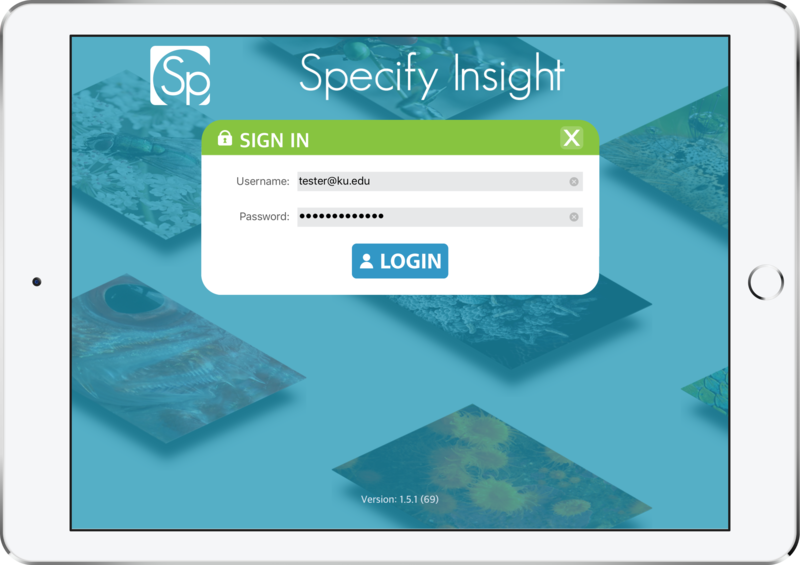 Specify Insight on the iPad will bring the science and data of biological collections to new audiences by mobilizing specimen information and images away from research desktops and museum galleries, and by providing an easy, gesture-based interface for biodiversity data visualization and exploration.